As Ramadan begins and the Islamic world starts its month of fasting, two historic events are pointing in the same direction: the era of Jacobin secularism in Middle Eastern government is over. The mass resignations of Turkey’s top military leaders is the good news; the murderous crackdown by Syrian forces loyal to Butcher Assad is the bad. The resignations in Turkey mean that the Kemalist establishment can no longer rely on coups as the ultimate guarantor of the rigid secularism the founder of modern Turkey imposed in his effort to “modernize” the country. The murders in Syria at this moment in Arab history mean the irrecoverable loss of legitimacy for the aggressively secular politics that has been the mainstay of some important Arab regimes since the 1950s. The Atlantic world developed many models of secularism over the last 300 years. The four most prominent ones today are the British, German, American and French models. 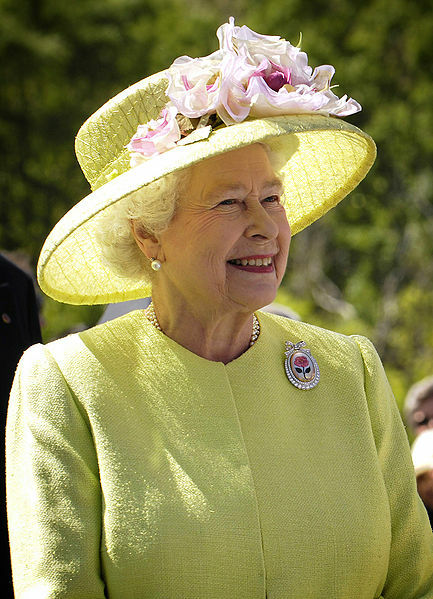 In England (the situation in Scotland is a little different) the Church of England is the official religion, supported by taxpayers, and by law the Queen is the head of the church and no Roman Catholic can wear the English crown. On the other hand, other religions are fully free and in Parliament, where the real power lies, Catholics, atheists, Muslims, Jews and anybody else can serve. Much of Nordic Europe has similar arrangements and much of the English speaking world is linked to this system through the position of the Queen as the Head of State in countries like Canada and New Zealand. In Germany, there is no single established religion, but the state acts as a tax collector for the major churches, funneling the equivalent of dues from members to religious bodies through the tax system. In the United States, the government takes no religious position and endorses no faith, but exercises a benign neutrality toward any faith whose tenets support American democracy and the rule of the existing legal order. The tax system provides an indirect subsidy for both religious and philanthropic activity; charitable contributions reduce the basis of income counted for tax purposes. The French system is the most aggressively secular Atlantic system. It grows out of the experience of the French Revolution, when the Republic and the Catholic Church were at daggers drawn. 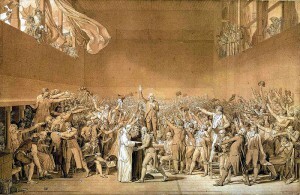 The hierarchical and highly organized nature of the Catholic church, its deep involvement with the monarchy and aristocracy, its wealth and land holdings, its extraterritorial connections with Rome and the intense loyalty to the church felt by many French people all made the Catholic Church a potentially hostile and powerful force. Hand in hand with this vision is the belief that religion is a backward-looking, anti-enlightenment, anti-modernizing force. The Republic must curb the Church in order to fulfill the task of economically and politically modernizing the country. If the Republic fails, the Church will drag the country back into economic and political backwardness. Religion from this point of view not only debauches human intelligence and suppresses human freedom; it condemns the fatherland to impotence. A backward, superstitious country will not be strong enough to overcome its international rivals. The Republican vanguard is the only force capable of enabling the country to stand up against its foreign foes: the fight against religion is a fight that patriots must embrace. This French vision of the inevitable conflict between religion and the state has at different times shaped the history of countries like Italy, Mexico and Spain. It played a significant role during French colonial rule in Algeria when Muslims had to reject Islamic personal law to receive voting and citizenship rights in the French Republic. The sense of a conflict between religion and republicanism was especially strong and widespread from the revolutions of 1848 through the early 1920s. It was the French vision that most appealed to the modernizers and independence activists who brought secularism to the Middle East. Kemal Atatürk, the Turkish general who defeated the Allies at Gallipoli and then overthrew Allied plans to partition what is now modern Turkey, was a fluent francophone who saw a close analogy between the power of Islam in Turkey and the power of Catholicism in France. 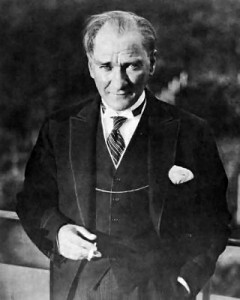 Partly because the Ottoman ruler claimed to be the Caliph of Islam, partly because many Muslim religious leaders in Turkey opposed the wholesale civic and cultural reforms Atatürk viewed as necessary to Turkey’s modernization and therefore independence, Atatürk saw many similarities between his desperate battle to remake Turkey and the revolutionary history of France. The Turkish state and army that Atatürk built was resolutely Jacobin. Religion was a backward looking force that left to itself would plunge Turkey back into impotence and superstition. Patriots had to resist organized religion and, as in countries like France and Mexico, resist any intrusion of religion into the public square. This is what the military has understood its role to be; this is why past governments seen to be ‘soft’ on Islam were overthrown. Atatürk and his followers achieved results that electrified the Middle East. They not only defeated the western allies after World War I even as Britain and France divided the Arab possessions of the Ottoman Empire into dependencies and colonies. They hammered Turkey into an increasingly modern state and built the industrial base and infrastructure which makes Turkey even today the most successful Islamic country in the world. The wave of military coups that overthrew west-aligned monarchies in the twenty years after World War Two from Iraq through Libya, and the nationalist leaders who dominated Arab politics in the post-1945 era were largely shaped by the secularist/modernizing consensus. Islam was a force of backwardness that needed to be controlled and limited in order for the republican state leadership to modernize society and lay the foundations for power. In Iran, the same ideology shaped the policies of the last shah. 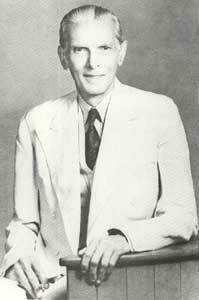 In British India and then, briefly, in independent Pakistan, Muhammad Ali Jinnah seems to have shared this approach. Science and social engineering would enable rational patriots to lead their countries out of the dark and into the light. In Turkey, Kemalism largely succeeded. The Kemalists built a modern economy and a strong military that is respected abroad. The attempt of Turkey’s AK Party to renegotiate the relationship of religion to the Turkish state is complicated and has both positive and negative elements; on the whole however it reflects the efforts of a successful polity to grow and develop. Turkey is like a young man who is ready to shake off the guidance of the parents and teachers who brought him up and strike out on his own. No doubt he will make some rash decisions and foolish choices along the way — but he stands on his own two feet and is ready to confront the world from a new position of strength. Kemalism has done its work and Turkey today has embarked on a great experiment to see whether Turkish Islam, like French Catholicism, is no longer a threat to the basic accomplishments of the modernizing state. In the Arab world, the situation is more complicated. Atatürk succeeded; Nasser, Saddam and the elder Assad all failed. Secularism in the Arab world did not create strong developing economies that provided better standards of living. Nor did it make Arab countries strong and respected abroad. It left the secular Arab world poor and led to humiliating and catastrophic failures at the hands of the tiny and much-hated Jewish state. In the Arab world the legacy of two generations of secular modernization looks contemptible. In Islamic countries, French style secularism is more than government wariness about the political power of religion. It goes hand in glove with an unprecedented substitution of bureaucratic state institutions for traditional Islamic ones. Under Sharia law, most legal matters are handled by recognized religious leaders. Under a secular system, government appointed and controlled judges and prosecutors take their place. 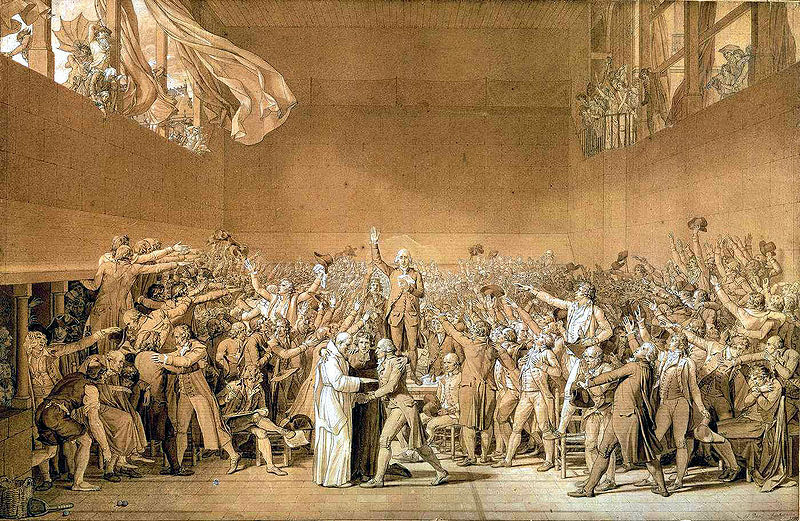 The centralization and bureaucratization of power which accompanied the French Revolution at home becomes more intense and more alien in Islamic countries whose rulers are trying to follow the French path. The French village priest was famously at odds with the republican schoolmaster as the two competed for the hearts and minds of the next generation; in Arab towns the ulema lost control over education and the administration of justice. The relationship between religion and the state is now being renegotiated across the Middle East. In Turkey, the AK Party represents an attempt to broaden the basis of the state to give more standing to more pious and traditionally-minded Muslims outside the cosmopolitan and secular elite. For all its faults (and for all the anti-democratic tendencies revealed by the excesses of the Ergenekon scandal, a kind of cross between the Watergate trials and the McCarthy witch hunts), Turkey’s AK Party is post-Kemalist rather than anti-modern. In the Arab world things are not so clear cut. In Turkey the success of Kemalist modernization created conditions in which an alternative vision could take root. That alternative vision could not be too radical or too utopian because Turks don’t want to lose under Islam what they gained by Kemal. In the Arab world, it is harder for the opposition to come up with realistic plans (since nobody really knows what the Arab world can do to succeed) but there is less pressure for an opposition to have realistic plans because the status quo is so hated. In order to challenge the Kemalist order in Turkey the AK Party had to demonstrate that it could succeed at core Kemalist objectives: making the economy grow, making Turkey respected around the world, moving the country closer to European standards on critical issues. The AK Party is popular precisely because it has not forced voters to chose between modern standards and Islamic piety. The Turks are wrestling with the difficult consequences of success; the Arabs are wrestling with the problems of failure. In Turkey first the Kemalists and then the AK came up with programs leading to greater prosperity and national prestige. In the Arab world the secularists have failed and it is all too likely that Islamists also have no recipe for success. In Syria even more than in Iraq, the Ba’athist version of Arab history and Arab progress has become unsustainable. The regime has no legitimacy — but it is not clear that a viable alternative exists. A period of religious and ethnic conflict in Syria comparable to events in Lebanon and Iraq cannot be excluded. In Egypt too we see a revolution resulting from failure rather than a revolution grounded in a viable vision for the future. Fortunately Egypt’s centuries of relative stability and strong sense of identity protect it from the worst kinds of chaos and civil war that assail weaker and less firmly founded countries like Iraq, Syria, Libya and Lebanon. Egypt is neither a developing country in the sense that it is gaining on the advanced world or a failed state; it is stuck in the gray zone in between. In Turkey, a sometimes feisty and over the top Kemalist regime has given way to a sometimes feisty and over the top group of Islamists; in the Arab world a gaggle of failed secularist modernizers is being driven from power by waves of public resentment and frustration. Either way, the century in which French secularism was the dominant ideological force in the Middle East has now clearly come to an end. From Pakistan to Morocco the Muslim world has turned its back on the modernity of the 20th century. God only knows what comes next.